Episode No. 208 of The Modern Art Notes Podcast features curator Ronni Baer and conservator Tricia O’Regan. Along with Ian Kennedy, Baer is the co-curator of “Class Distinctions” at the Museum of Fine Arts, Boston. The exhibition, on view through January 18, 2016, looks at the ways in which social difference — for example the fine lines that separate the portrayal of noble from wealthy merchant — plays out in Dutch Golden Age art. The exhibition’s outstanding catalogue was published by the MFA. On the second segment, Fine Arts Museums of San Francisco conservator Tricia O’Regan discusses the presentation of two major murals in “Jewel City: Art From San Francisco’s Panama-Pacific International Exposition.” This year marks the 100th anniversary of San Francisco’s World’s Fair. The exhibition, on view through January 10, 2016 at the de Young, features over 200 works that were featured mostly in the fine arts galleries of the fair. The fair’s extensive mural program featured over 30 works, including two that O’Regan and host Tyler Green discuss: William de Leftwich Dodge’s mammoth Atlantic and Pacific and Arthur Frank Mathews The Victory of Culture over Force. The show’s catalogue was published by University of California Press. Air date: October 29, 2015. 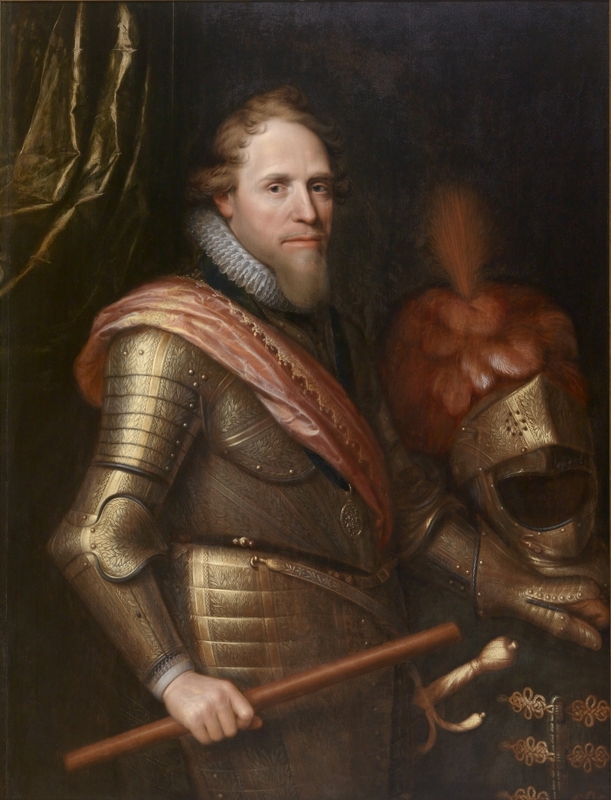 Michiel Janszoon Mierevelt, Maurits, Prince of Orange, 1607. 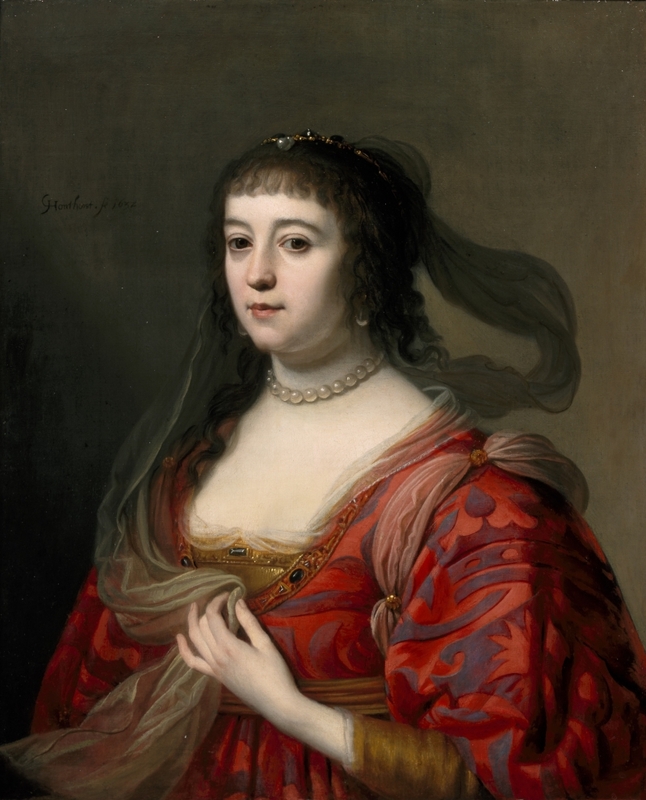 Gerrit van Honthorst, Amalia van Solms, 1632. 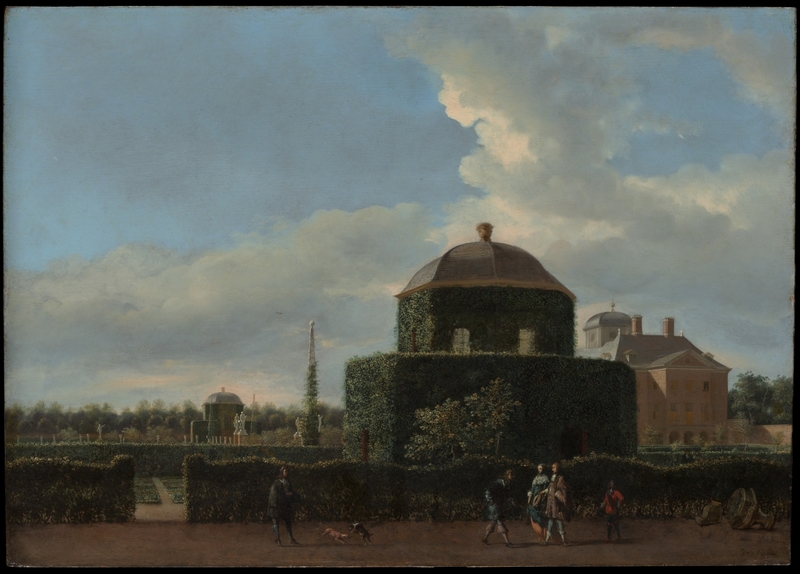 Jan van der Heyden, The Huis ten Bosch at The Hague and Its Formal Garden (View from the South), 1668-70. 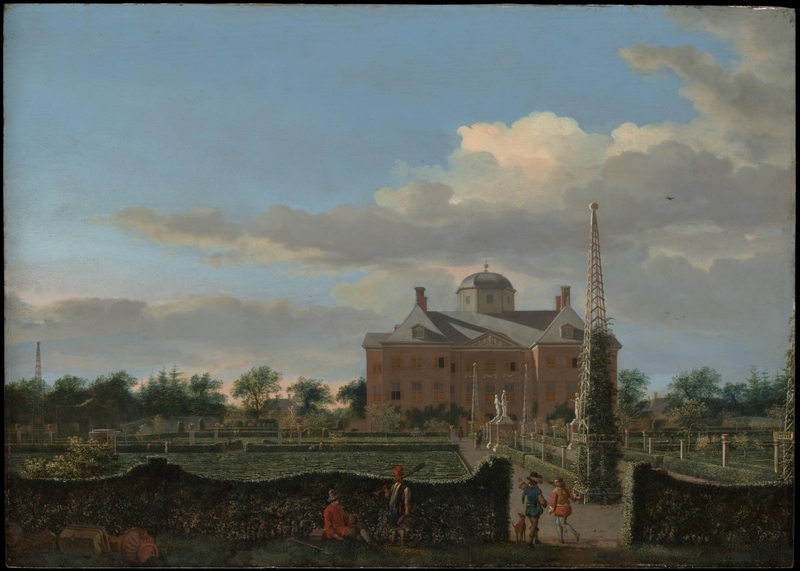 Jan van der Heyden, The Huis ten Bosch at The Hague and Its Formal Garden (View from the East), 1668-70. 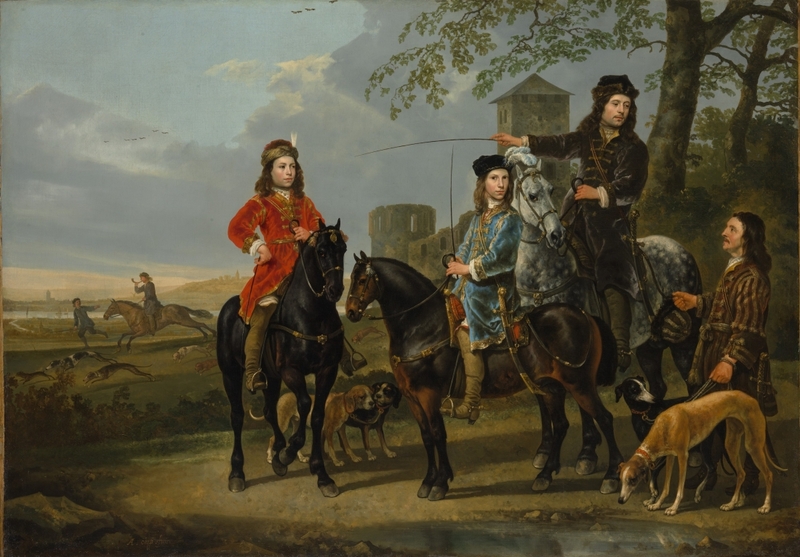 Aelbert Cuyp, Equestrian Portrait of Cornelis and Michiel Pompe van Meerdervoort with Their Tutor and Coachman, 1652-53. 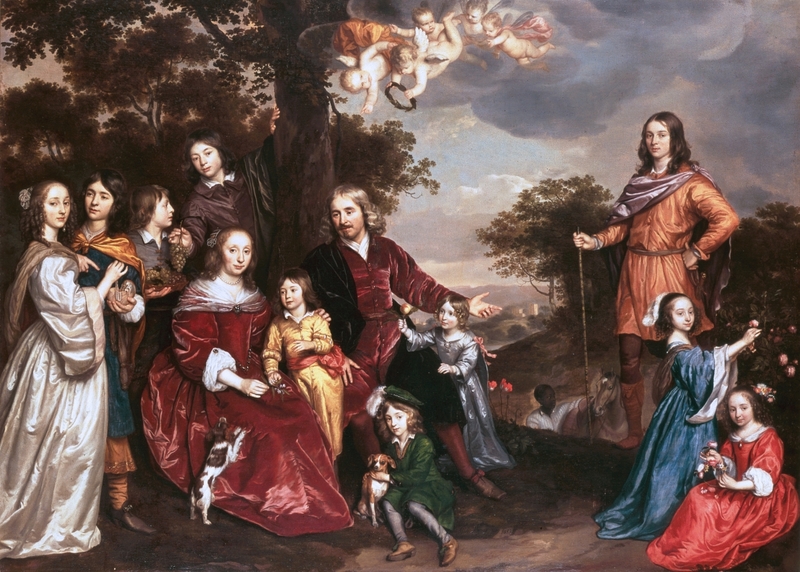 Jan Mijtens, Willem van den Kerckhoven and His Family, 1652, 1655. 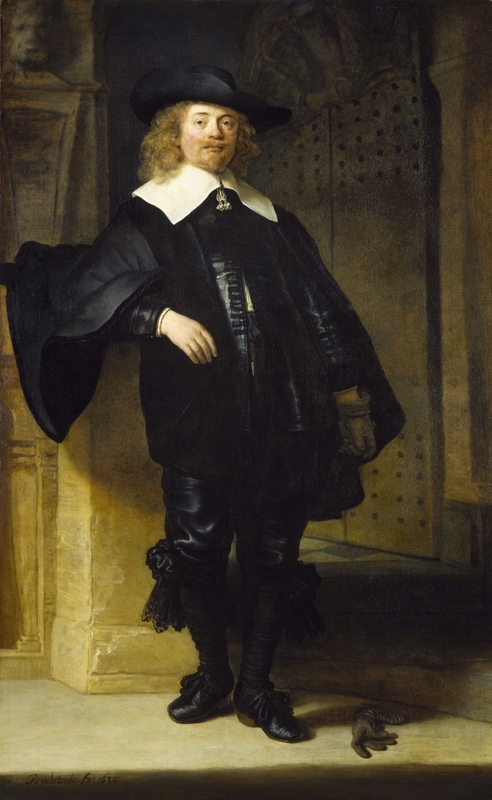 Rembrandt van Rijn, Andries de Graeff, 1639. Bartholomeus van der Helst, Jan Jacobsz. 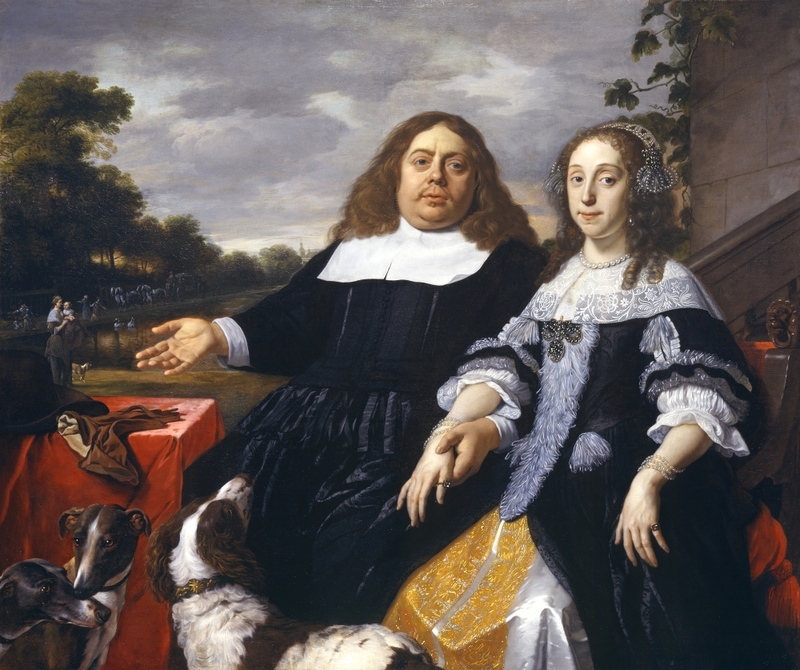 Hilopen and His Wife, Lucia Wijbrants, 1666. 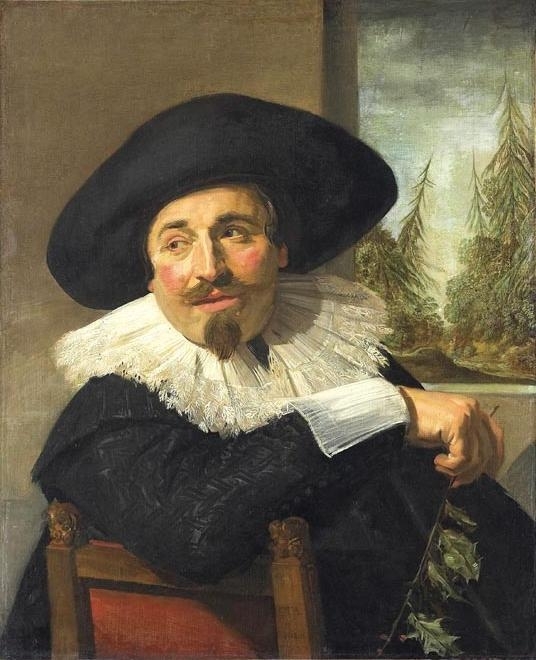 Frans Hals, Willem van Heythuysen, ca. 1625. 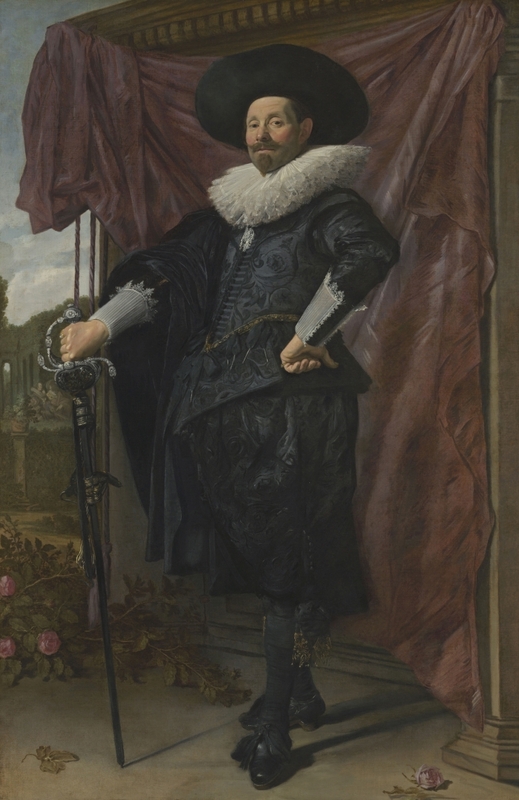 Frans Hals, Isaac Abrahamsz. Massa, 1626. 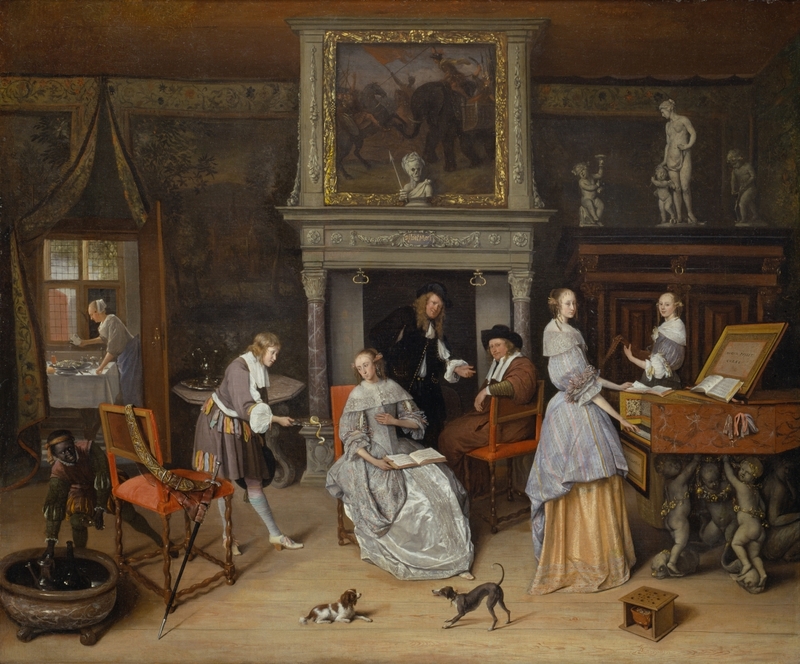 Jan Steen, Fantasy Interior with Jan Steen and the Family of Gerrit Schouten, ca. 1663. 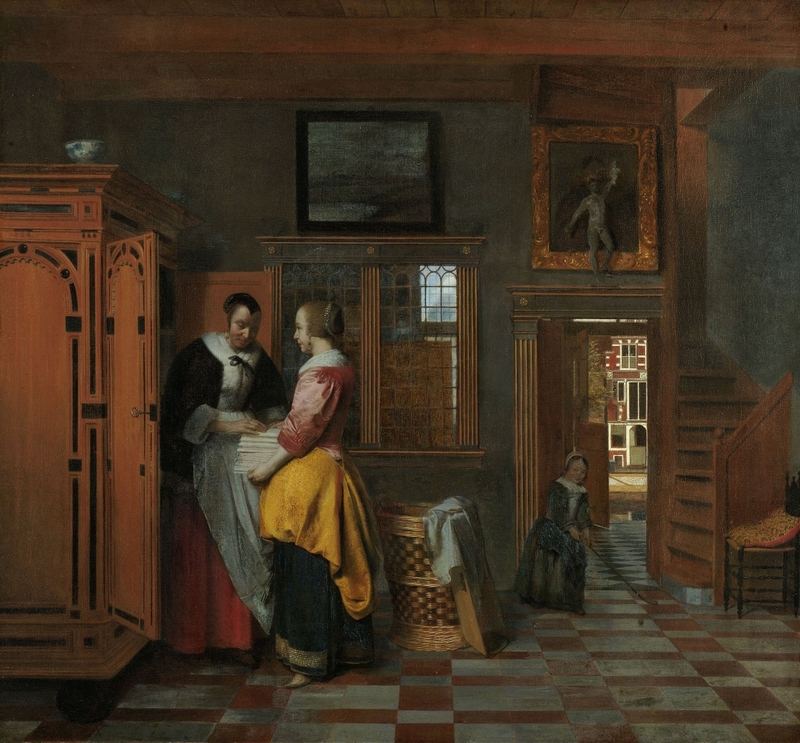 Pieter de Hooch, Interior with Women beside a Linen Cupboard, 1663. 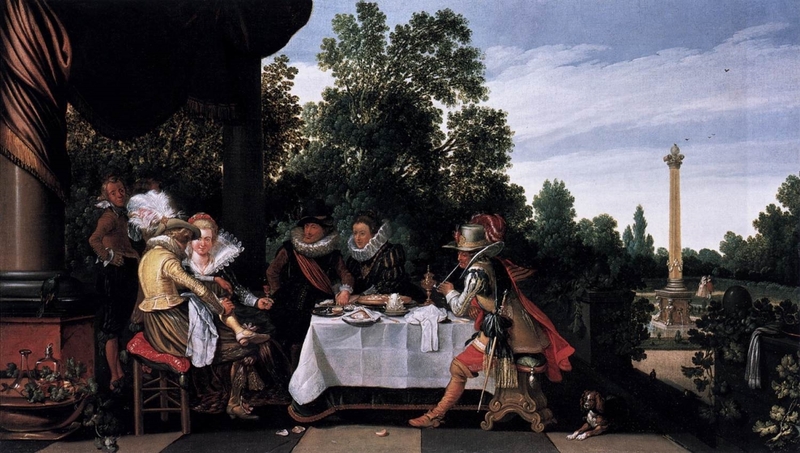 Esias van de Velde, Merry Company Banqueting on a Terrace, 1620. 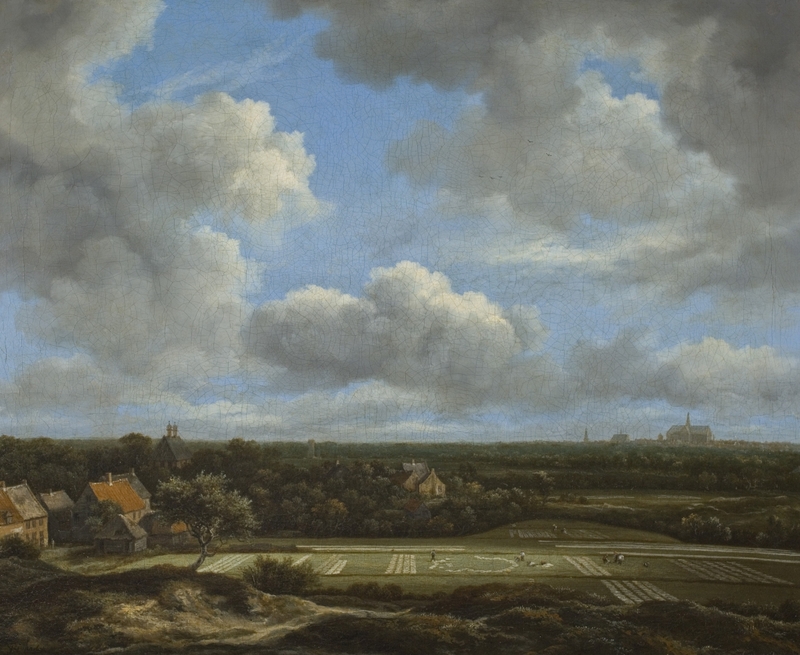 Jacob van Ruisdael, View of the Plain of Haarlem with Bleaching Grounds, ca. 1660-63. 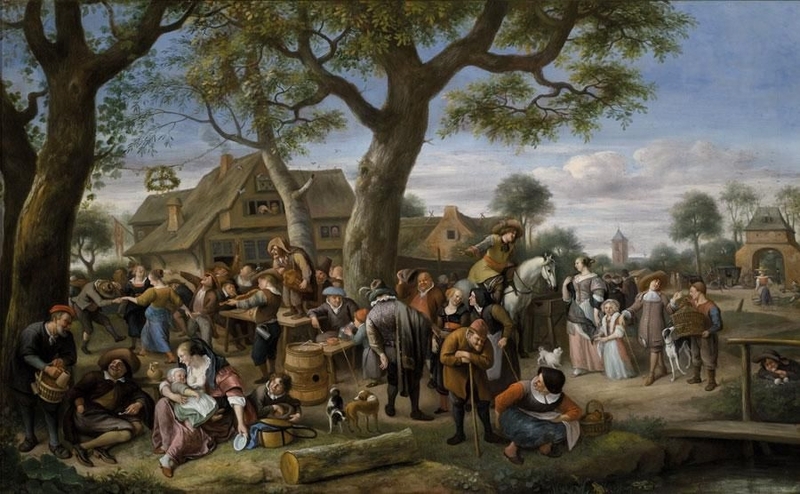 Jan Steen, Peasants Merry-Making outside an Inn, known as “The Fair at Warmond,” ca. 1676. William de Leftwich Dodge, Atlantic and Pacific, 1914-15. Arthur Frank Matthews, The Victory of Culture, 1914-15. I am a grandson of William de Leftwich Dodge and I very much enjoyed the conservation discussion by Tricia O’Regan. My wife and I attended the wonderful opening reception at the de Young Museum and it was the first time that I saw Dodge’s The Atlantic and Pacific mural. The central figure representing the Panama Canal was posed by Charles Atlas. Some years ago I wrote first to Mayor Gavin Newsom and later to Mayor Ed Lee and recommended that this mural be included in a centennial celebration of the PPIE and we are so pleased that it happened. Hopefully a more permanent location in the city will be found for the mural. We have a collection of Dodge’s easel paintings which I have been working on for many years as well as an inventory of all his work. Pryor Dodge his other grandson also attended the opening and returned the day the exhibition was opened to the public. He said that as he was looking at Dodge’s mural he saw Messrs. Newsom, Lee and someone else having their photograph taken together with the mural. Now that is a real tribute! I would be glad to hear from anyone who is interested in Dodge’s art.